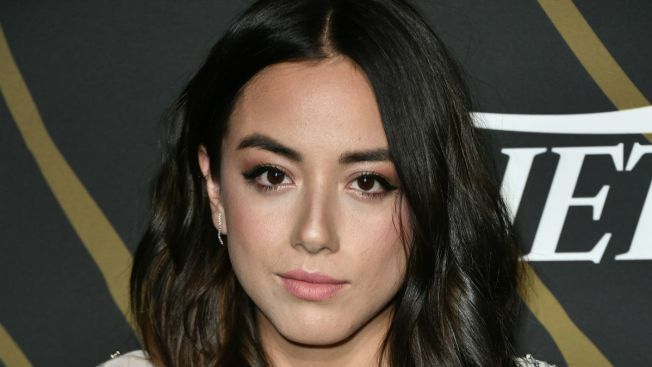 Actress Chloe Bennet defended changing her last name from Wang in order to get cast for more roles, and blames “racist” Hollywood for the decision. The "Agents of S.H. I. E. L. D" star, who is half Chinese, took to Instagram earlier this week to praise actor Ed Skrein for declining to play the role of Major Ben Daimio in the upcoming "HELLBOY" reboot. Skrein, who is white, said he had initially accepted the role "unaware that the character in the original comics was of mixed Asian heritage," but once he discovered that, he "decided to step down." The 25-year-old actress shared Skrein's letter on Instagram Tuesday, thanking him "for standing up against hollywoods [sic] continuous insensitivity and flippant behavior toward the Asian-American community." "There is no way this decision came lightly on your part, so thank you for your bravery and genuinely impactful step forward," she wrote. "I hope this inspires other actors/film makers to do the same." But after an Instagram user noted the actress had changed her last name from Wang to Bennet, she addressed Hollywood's discrimination issue in the debate over so-called "white-washing" of TV and film roles. “Changing my last name doesn’t change the fact that my BLOOD is half Chinese, that I lived in chine [sic], speak mandarin, or that I was culturally raised both American and Chinese,” she wrote. DAMN, that's a man. Thank you @edskrein for standing up against hollywoods continuous insensitivity and flippant behavior towards the Asian American community. There is no way this decision came lightly on your part, so thank you for your bravery and genuinely impactful step forward. I hope this inspires other actors/film makers to do the same.👏🏼👏🏼👏🏼--Also, dayum cute af AND a pioneer for social injustice?! Fellas, take note. That's how it's done. Bennet’s comments follow previous "whitewashing" controversies including the castings of Emma Stone in "Aloha" and Scarlett Johansson in "Ghost in the Shell."